Tommy Hearns sat at ringside for the middleweight rematch between Gennady Golovkin and Saul ‘Canelo’ Alvarez in Las Vegas, as he does for so many of the showpiece occasions in boxing’s unofficial capital city. The passage of time has not dulled the former five-weight world champion’s desire to see the best go toe-to-toe with one another. And on Saturday, one day prior to the 37th anniversary of his initial thriller against ‘Sugar’ Ray Leonard, Hearns no doubt saw something very familiar in the greatness before him. Comparing eras in boxing or any sport is irresistible folly, but the 24 rounds Golovkin and Alvarez have shared – not to mention the fierce debate after both verdicts – can sit alongside the deeds of that 1980s golden era in the middleweights, when Hearns, Leonard, Roberto Duran and Marvin Hagler co-existed. While all crops of elite heavyweights will always be measured against Muhammad Ali, Joe Frazier, George Foreman and the rest from the 1970s, elite combatants around 160lbs like Alvarez and Golovkin pound away in the formidable shadow of the “Four Kings”. Now, following Alvarez’s razor-thin majority decision win, he and Golovkin are also bound together, for ever to be discussed as a hyphenated whole: Ali-Frazier, Hagler-Hearns, Canelo-GGG. Another area where the long-reigning Kazakh and freshly crowned Mexican match the greats is that opinions will differ over their bouts for years after their gloves begin gathering dust. We have a winner and a loser now, but still no definitive answer. Three and not so easy? As such, the clamour for a third fight is already huge. Their styles mesh so well that every round feels like an exercise in pugilistic decadence for the paying public. 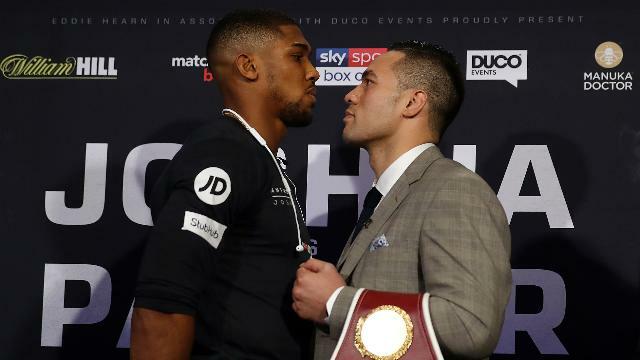 Following their latest epic, both men spoke respectfully, with none of the bad blood caused by Alvarez’s failed drugs tests earlier in the year lingering. None of this makes the trilogy a foregone conclusion. Having seen their man walk through 72 minutes of fire and fury, Oscar de la Hoya and Alvarez’s handlers might decide there are easier ways for one of the sport’s most bankable commodities to earn huge money. On Golovkin’s part, it would be understandable if his good grace in the wake of a first professional loss hardened into the embittered conclusion that the Vegas house was stacked against him after two fights where he out-landed Alvarez and yet was not named the winner on either occasion. Also, at 36, his best chance of conclusively ending the argument has probably passed. They now carry a weighty joint narrative, ticking many of the same boxes as their forebearers. Alvarez had never conformed to the archetype of the Hispanic warrior – defined by Duran better than anyone – to the extent he did at the weekend, refusing to take a backward step in the face of Golovkin’s heavy artillery. The 28-year-old's tie-up with Golden Boy Promotions makes him the establishment fighter and the Leonard of the piece, every bit as much as his masterful counter-punching. Golovkin’s fear-inducing power harks back to Hearns. His rise from outside the mainstream surely drew sage nods from Hagler, whose still-polarising points loss to Leonard in 1987 means he knows more than most what must be spinning through Golovkin’s bruised head right now. Alvarez has expressed a desire to box before the end of the year, with the heavy-hitting but limited David Lemieux having positioned himself well for that assignment by separating Gary ‘Spike’ O’Sullivan from his senses on Saturday’s undercard. Maybe Golovkin should also seek an alternative foe for now and bring new actors into this incredible drama. Next month, Demetrius Andrade meets the similarly undefeated Billy Joe Saunders for the latter’s WBO middleweight crown, while Daniel Jacobs – outpointed by GGG in 2017 - faces Sergiy Derevyanchenko for the vacant IBF belt in another high-quality contest. Golovkin’s ultimate aim was to own all four major middleweight titles, an ambition Alvarez has moved him further away from than at any time since the start of this decade. Imagine a scenario where Golovkin beats one of the winners from the Saunders-Andrade and Jacobs-Derevyanchenko bouts, while Alvarez is victorious against the other. Then, this time next year, Canelo and GGG put it all on the line again, only this time with everything on the line. 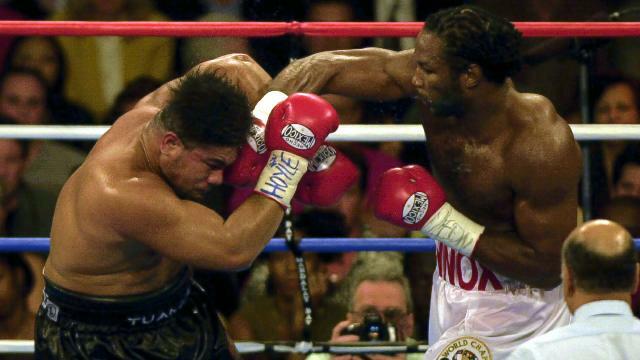 It might be asking too much, but not since the days of Hagler, Leonard, Hearns and Duran have two fighters made the dreams of fans seem so possible.